A week of organic juice cleansing in the beautiful mountains of Andalucia is the perfect way to reduce stress, lose weight and return to feeling healthier, happier, zestier. Amazing! The best detox retreat I have ever been on. The way we were supported and cared for was like nothing I’ve ever experienced. It felt like being looked after by my loving grandmother. 12 noon – Checkout and transfers. Our raw juices are designed to appeal to your organs and your taste buds; and with added fibre to give you that ‘full feeling’, you will never go hungry. Specially formulated to keep your blood sugar stable and provide you with a vitamin boost, you won’t have ‘eaten’ more healthily in your life and your body will love you for it. In the evening we serve a delicious electrolyte broth to provide you with all the minerals you need – this is served with lemon, turmeric, cumin, paprika & black pepper for added spice! To make the most of your raw juice detox retreat we recommend that you follow a healthy diet for 7 days before arrival, cutting out or at least reducing all meat, dairy, wheat, alcohol, coffee, refined sugar, potatoes, and processed foods. 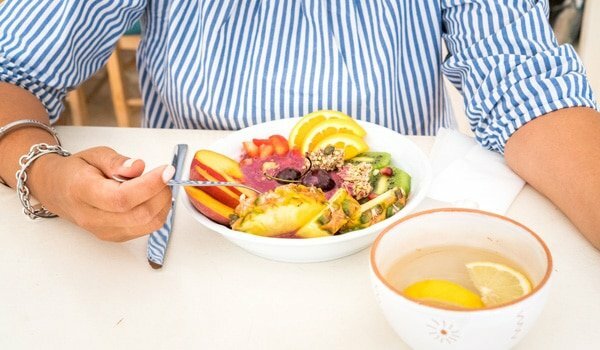 Prepare your meals at home based on fruit, vegetables, eggs, whole grains, rice cakes, organic fish, avocados, nuts, seeds, tahini. During the detox retreat you will benefit from gentle cleansing techniques and natural supplements, plus daily yoga classes that are finely tuned to support the detox process and to help you relax and feel good. Your detox guides Lelly and Becs will guide you mindfully through the fasting process, so you’ll be fully informed and cared for at all times. We also offer three in-depth talks on holistic health, natural nutrition and superfoods to inspire you to take good care of yourself after the retreat. If you enjoy active exercise, there are invigorating hill walks and mountain hikes that you can do alone with a map, or with a guide. Our detox program has been in service for over a decade and many of our guests repeat the experience with us every year. 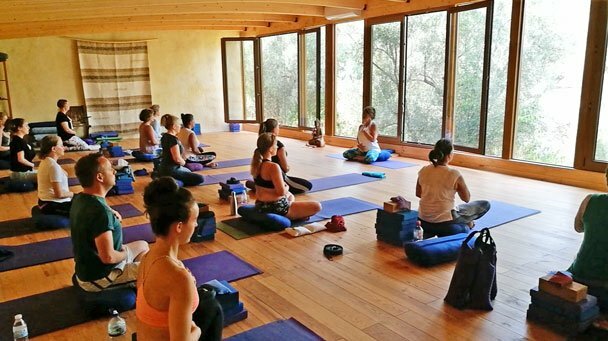 Under the guidance of our experienced in-house teachers, you will discover that yoga can be a tool not only for improving health and fitness but also for deep rest and mindful relaxation. Every morning there’s a detox yoga class and for early risers there’s a guided half-hour meditation (optional). In the evening before supper there is a relaxing yoga class to integrate mind, body, and soul. The week culminates with a fun partner yoga session on Friday evening and a self-practice session on Saturday morning. Our yoga method can be applied to all styles of yoga because, rather than focusing solely on stretches and poses, we encourage mindfulness too, so you can experience yoga as meditation in motion. If you are used to yoga as fitness, this additional aspect may feel subtle but it will have a profound effect over time. During the week you will gain the confidence and knowledge to build a home-practice. Everyone is welcome, whether novice or experienced. We are lucky to have a gifted team of holistic practitioners who will come to the retreat to offer you a session in the holistic therapy of your choice. Our therapists will inspire you to free yourself from the things that might be holding you back in your life. And most importantly of all, you will begin to feel good about yourself, just as you are, rather than who you think you should be. Two evenings a week we have informative talks from our nutritional therapist who will inspire you to re-boot your daily diet once you get home, with nourishing, energising foods. During free evenings, you are free to retreat or socialise as you wish. We have a cosy sitting room or a snug to curl up and relax with a good book or enjoy an evening stroll either in the countryside. 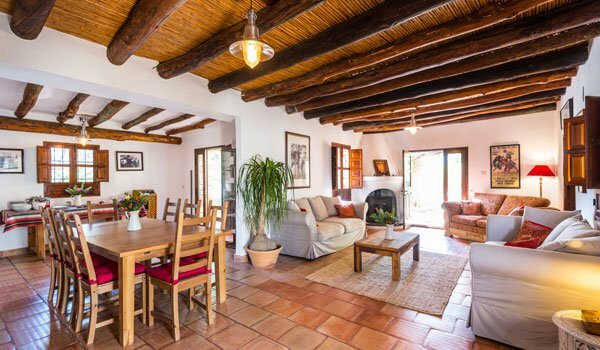 When you are not doing yoga or meditating, you can snooze in the sun, read in a hammock, catch up on some guilt-free sleep, or go for a walk in the beautiful Alpujarra mountains. 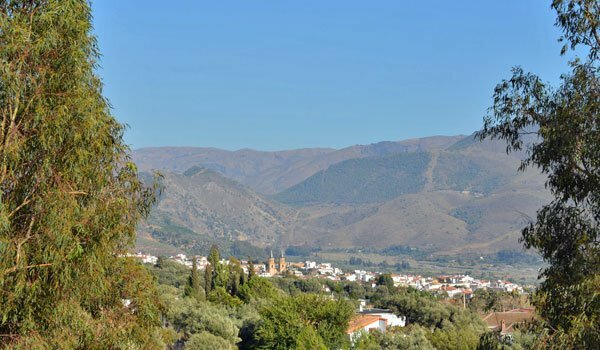 We are located 1.5 hours from Malaga airport in the Alpujarra region of Granada province, between the Sierra Nevada mountains and the Mediterranean. The Alpujarra is renowned for its verdant microclimate, waterfalls, gorges, Moorish villages & shaded valleys. 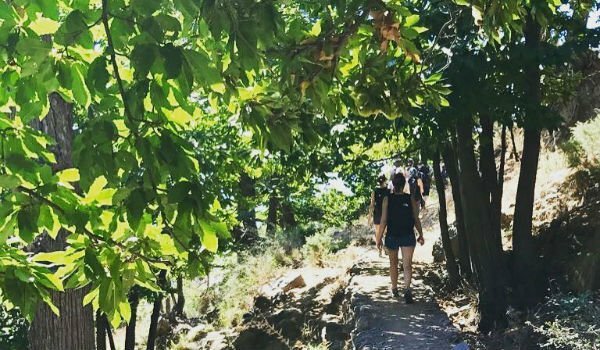 One of the finest walking areas in southern Europe, the Alpujarra has been certified by UNESCO as a Biosphere Reserve.